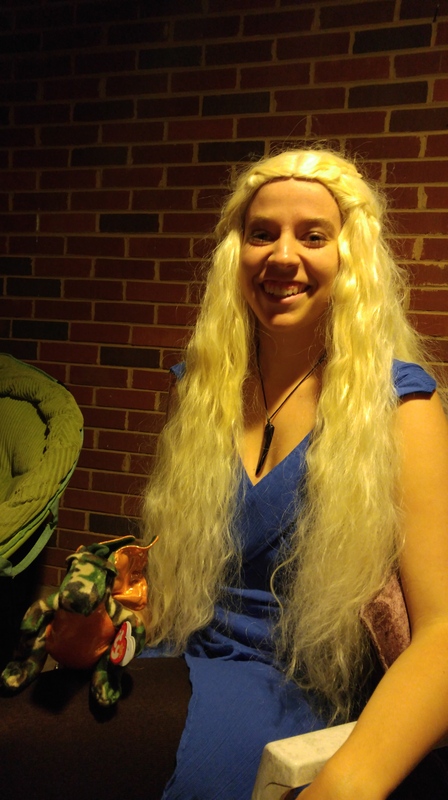 This year, for halloween, I decided I wanted to be Khaleesi (Daenerys Targaryen) from Game of Thrones. I scoured the internet trying to find the dress I wanted to replicate, because she has so many amazing ones! 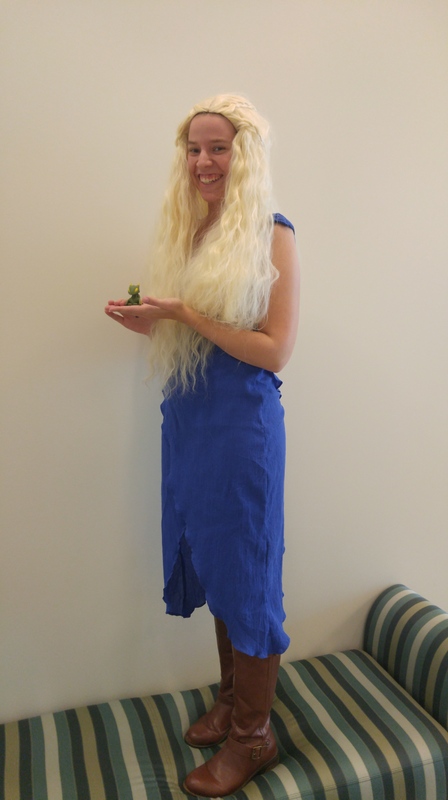 I’ve been wanting to make a Khaleesi-style dress for a long time, so I was super excited to start on a Khaleesi costume! I found a great post from Michelle Carragher, who does a lot of embroidery for the show, showing how to do the dragonscale that the dress features. I didn’t do as much as I wanted to, because I only let myself have a week to make the dress. After I (almost) finished the bodice (the night before my school party), I had to wing it for the skirt. I looked over all the pictures of the dress I could find to figure out what I wanted to do. 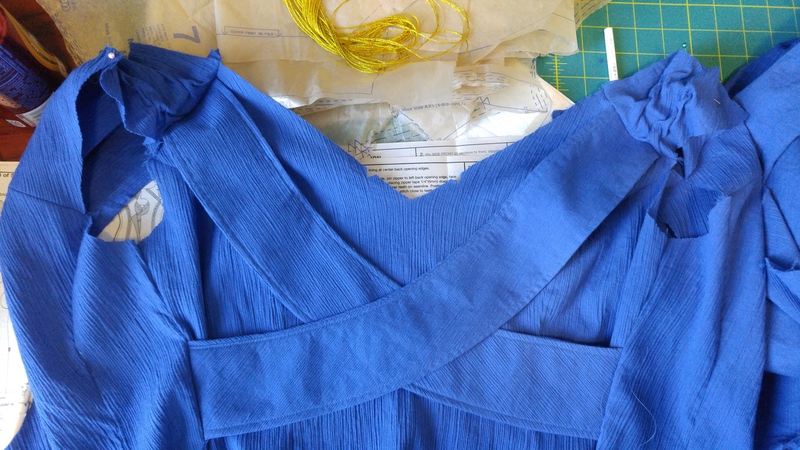 I cut two identical pieces and wrapped them around bodice, and sewed them in place. I screwed up the zipper placement at least 5 times before I finally gave up and left for the party with the zip facing my back instead of the outside of the dress. 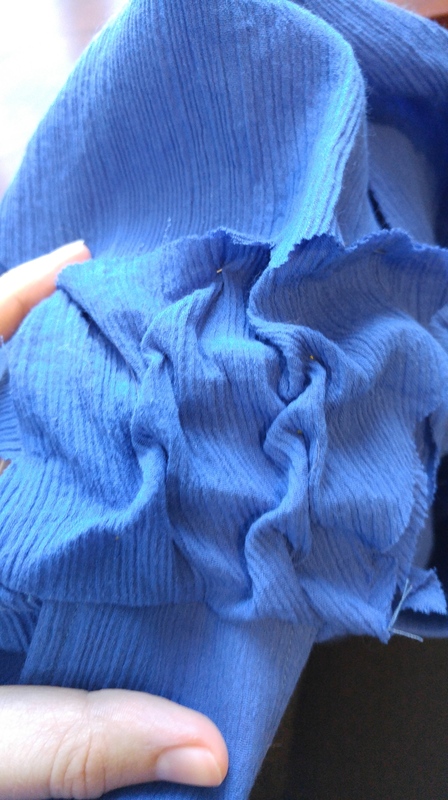 I then zipped the zip right off the zipper before I got to fixing it. Soooo…I frantically attached 3 sets of hooks and eyes to keep the back closed during the party. I bought a new zipper and fixed it for real before the second party I went to, even though I said I never wanted to sew another zipper.